Facebook is a dynamic site and it provides very easy access to their users to develop apps, groups and pages of their own choices. While working on Facebook our friends or social friends makes apps, groups and pages of their own choices and invite us to be the part of that group app or page by different means. You can accept request to confirm joining of Facebook group or Facebook apps or you can LIKE the page to confirm fan of that page or personality or product or any other thing the page is related to. As I told above Facebook is a dynamic site so we can see changes occur on Facebook feed page easily. Any of our friend or social friend when makes a change on their profile of share any feed then we will notify instantly on our feed page. Sometimes these things irritate us and we want to disable or remove apps and groups on our Facebook profile. 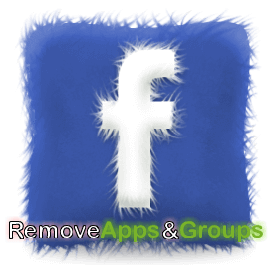 In this article you will learn how you can remove apps and groups from your Facebook Page. So let’s start work. Please follow instructions below. Click Home Button on top bar. Join ME on Facebook, Google and Twitter.